This is my comparison of Revlon Perplex (Chanel Paradoxal Dupe) and Sephora X - Secretive. 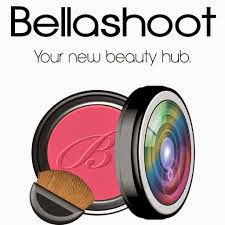 I didn't even think of comparing the two until someone made a comment when I posted my review of Sephora Secretive that it looked like Revlon Perplex. As you can see - the base color is pretty close. 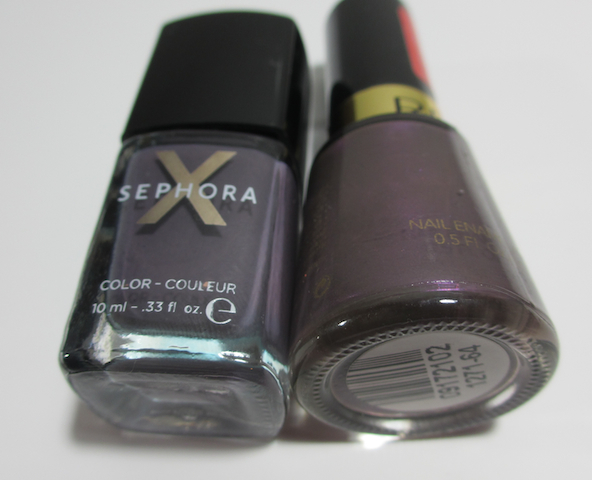 The difference between the two is that Secretive is a creme finish and Perplex has the subtle purple/pink shimmer. To tell you the truth, I wore the alternating look above all day and unless I got really close and studied the differences, I couldn't really tell. I have never thought the shimmer was very evident in Perplex on the nail. I took quite a few shots and this shot showed the difference between the two the best. For the most part - depending on how the light hit the nails, I couldn't see the difference in my photos. They do look a little more different in the bottle, but I think Perplex looks a little better in the bottle than on the nail. That's just my opinion. In conclusion, they aren't exact dupes, but if you already have Perplex, I would suggest checking out some of the other Sephora X polishes as they have so many unique shades. See my prior post that links the collections here. I'm curious if ChG "Jungle Queen" is another dupe of these two. It's also a purply-grey shade like these. That would be cool. I'll have to check that one out. I don't have either so thanks for creating another lemming LOL =) I second Aleta, I wonder if Jungle Queen is a dupe for these? I own more dupes than I reasonably should for preplex, and I don't even care! (I'm crazy like that lol) but seriouly, I want that sephora shade. Great comp. :) Yes, Perplex is a very cool polish!